The professional literature is flooded with methods that claim to be "evidence-based practices." A larger concern for those who work with children and youth is"practice-based evidence" which is defined as delivering what works. In this issue, noted leaders from the Reclaiming Youth movement describe the most successful strategies for creating environments in which all young people thrive. Children struggling to cope with trauma and violence in home, school, and community can show a host of emotional and behavioral problems. 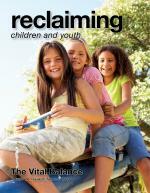 This issue explores positive strategies for prevention, intervention, and growth. Acts of superiority or dehumanization generate conflicts that disrupt our relationships and divide our communities. While race is a biological fiction, racism affects us all, even the most well-intentioned. 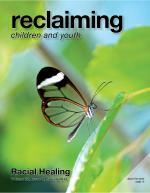 This issue examines promising initiatives to heal the pain and trauma of racism and celebrate the oneness of humankind. This special issue is dedicated to the memory of Christopher Peterson (1950-2012), the world's most prolific researcher in the new field of positive psychology. Articles explore innovative programs for building strengths and prosocial behavior and values with challenging children and youth. Across all nations and cultures, children thrive when they meet universal growth needs for Belonging, Mastery, Independence, and Generosity. This issue circles the globe from Detroit to New Deli to explore the challenges and potentials of raising children of courage. Funding bodies of education and treatment increasingly demand the use of evidence-based practice (EBP). Not surprisingly, advocates of every method are contriving studies to "prove" theirs is a blue-ribbon practice. However, researchers are shifting from studying methods to discovering what is actually effective in real-world settings, namely Practice-Based Evidence (PBE). Simply, how do we deliver what works? 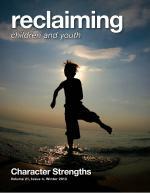 This issue highlights these essentials for success with challenging children and youth. The belief that all young people have potential for positive citizenship inspired early pioneers in democratic education and youth work. But for several decades, this spirit of optimism was stifled by a pessimistic focus on deficits and deviance. Now, a renewed focus on strengths and resilience provides fresh hope and practical strategies for helping all young people to thrive. 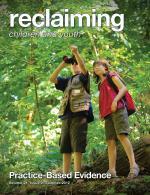 This issue marks the 20th Anniversary of the journal Reclaiming Children and Youth. From its founding, this publication has bridged research and practice to provide carry away skills for building respectful environments where all young people can heal and flourish. 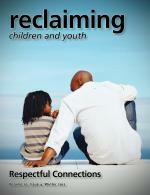 Authors of articles in this issue are leaders who have sparked the Reclaiming Youth movement by applying these resilience-based and trauma-informed principles in families, schools, treatment settings, juvenile justice, and community settings. When children show emotional or behavioral problems, many are quick to blame families. But parents are the primary life span experts on the lives of their children. 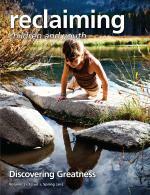 Thom Garfat guest edits this issue which abandons the deficit view to focus on strengths in families. 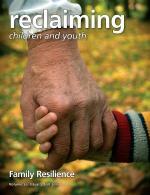 Articles tap the practice wisdom of those who daily confront the challenge of dealing with children in conflict.